The Young Turks (TYT), a progressive online news network catered to millennials, has raised $20 million in a round of funding led by 3L Capital and including Greycroft, e.ventures and WndrCo – the new venture capital firm founded by Jeffrey Katzenberg. Once a radio brand turned YouTube channel, TYT has exploded into a multi-channel news and commentary platform that reaches an enormous millennial audience. How they'll spend it: In an interview with Axios, TYT Co-Founder and Host Cenk Uygur says the money will go toward building a tech team to improve community building and outreach, a sales team to monetize their audience and add more programming for subscribers and its general audience. Why it matters: This is the first time the company has taken money to expand its business and they have a very strategic plan of how they plan to move forward in over-the-top (OTT) streaming, building proprietary technology and expanding its reach on social platforms. Our thought bubble: The foray into streaming is smart because they have experience in that market, which is growing rapidly as their core audience of millennials cuts the cord and ditches standard cable packages. TYT Network says it's currently the most-watched channel on Pluto TV and the third-most-watched channel on Comcast's Watchable OTT service. 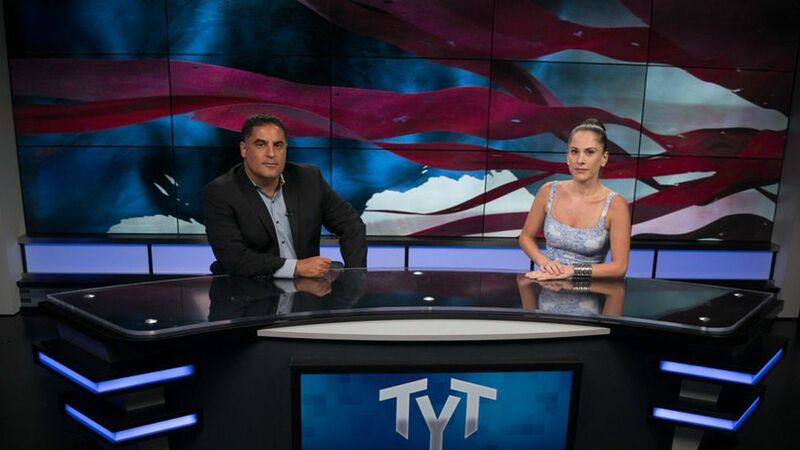 Uygur says TYT is the "new center." Once traditionally progressive, they've now caught up with the political leanings of its audience, millennials, who he says are far more progressive than any other generation in America. Uygur says the company is very excited about building a "skinny bundle," or a streaming service collection of news channels they produce that can be made available via a monthly subscription package. They are also excite to build out their own tech platforms, potentially including a proprietary content management system (CMS). Currently, TYT operates on a "freemium" model, where they offer free and subscription-based news. They currently have around 30,000 subscribers that mostly pay around $10 monthly for TYT's content. They are looking to expand that audience to reach the mass scale of their earned audience (200 million video views per month). From an investment standpoint, 3L Capital's Shawn Colo says TYT is attractive because it has an incredibly engaged community. "We see a lot of businesses that promote scale, but the good thing about TYT is that it has scale but has community engagement at its core. From a business perspective, this lets us be innovative and creative." Note: Greycoft is an investor in Axios.